SonFest Southport Music Festival was created in 2014 simply to share God’s love with those who don’t yet know it. It seemed only right that as part of our ethos, we demonstrate that same love to our environment. God poured His love into the creation of our world and it is only right we take care to be good stewards of this home and do our part to preserve it for future generations. This year, we are pleased to announce the creation of a long overdue sustainability policy at SonFest Southport, paying particular attention to our waste throughout the day of the festival and preventing as much non-recyclable, non-compostable waste as possible. We are working closely with our catering partners, Megafauna Vegan Catering, Buckley’s Fully Loaded, and Jonah’s Artisan Coffee, to provide only recyclable and/or compostable utensils and containers. 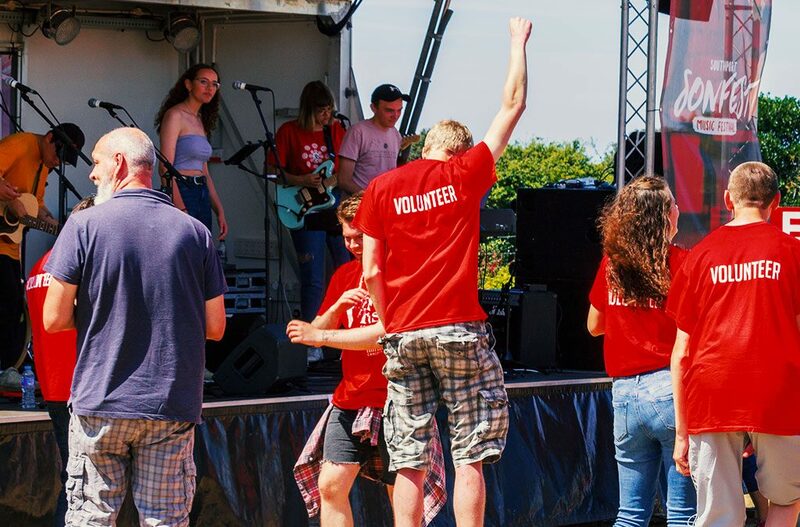 Last year, we were blessed with 80 volunteers at SonFest Southport throughout the day and this year, we will be asking them to bring along their own containers for the drinking water we will be providing onsite. We have also made the same request from our artists who will be taking the stage to share God’s love through their music. Festival-goers can expect to see dedicated recycling containers across King’s Gardens, specific to the event site, and we ask that only recyclable and/or compostable materials are placed in the containers. We know many people share our passion for caring for our environment and we have begun recruiting for volunteers to take on the role of “eco champion” throughout the day, ensuring our recycling containers are being changed and helping to ensure they are being used. SonFest Southport Music Festival is dedicated to minimising the potential negative impact we have on the environment and to making only a positive contribution to our local community and economy. We hope you will join us. Do you have a ministry in music?